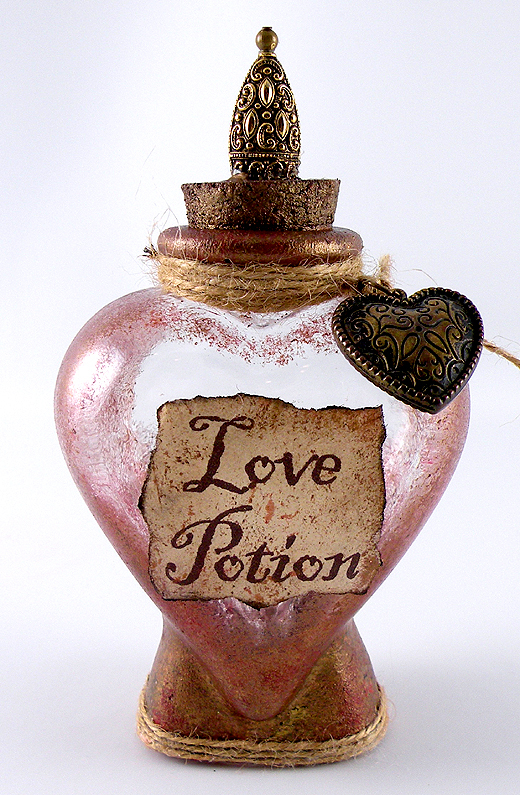 It is very easy and inexpensive to create your own bottle of Love Potion for your special Valentine. 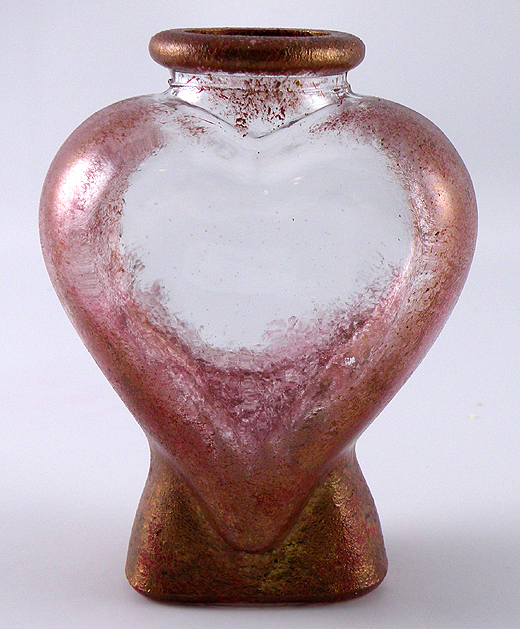 I bought a heart shaped bottle at the craft store for a dollar and transformed it into an aged, gypsy inspired bottle of potent elixir that is sure to make the heart flutter…at least it will if you fill it with their favorite candy. 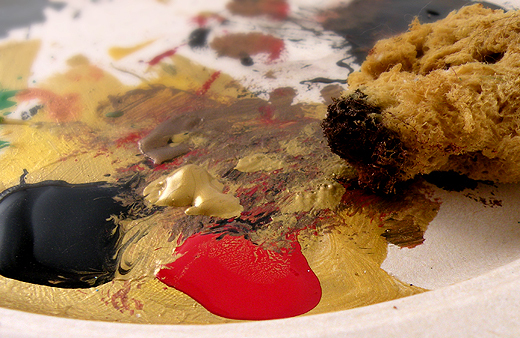 Pour some paint onto a paper plate. Use all of your colors. Dip your sponge into the paint and start sponging the bottle Use heavier paint on the base and top of the bottle and lightly add paint around the edges. The easiest way to do this is to dab it on a newspaper to remove some of the paint before applying to the areas you want it to look faded. Apply a small amount of craft glue around the base bottle. Wrap the twine around the base of the bottle about 3 or 4 times, depending on how you want it to look. Apply glue around the neck of the bottle and wrap the twine around, leaving about 2 inches on each end for tails. Thread the heart pendant onto one side of the tails and tie in a double knot. Trim the ends to matching lengths. 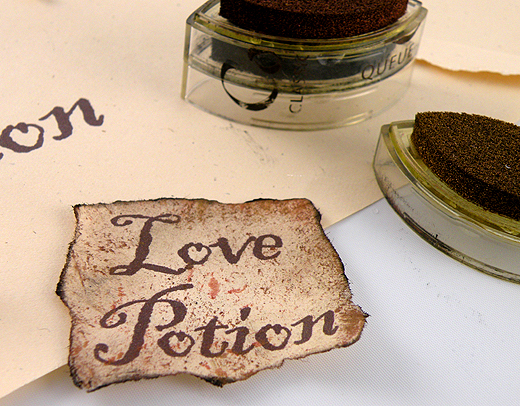 Print out a the Love Potion label in a old style font on the piece of beige paper. Make sure it is the size to fit the front of the bottle. I used a brown font color to make it look old. Hand tear the edges of the paper to the correct size. Using chalk paint pads or the natural sponge, dab bronze and gold paint on the label and black on the edges to antique the paper. Attach to the the label to the bottle with craft glue. Paint the cork with gold paint. Dig a hole into the center top of the cork to add the metal accent. Attach the accent with your glue gun. Fill with your favorite candy and get ready for the fireworks! 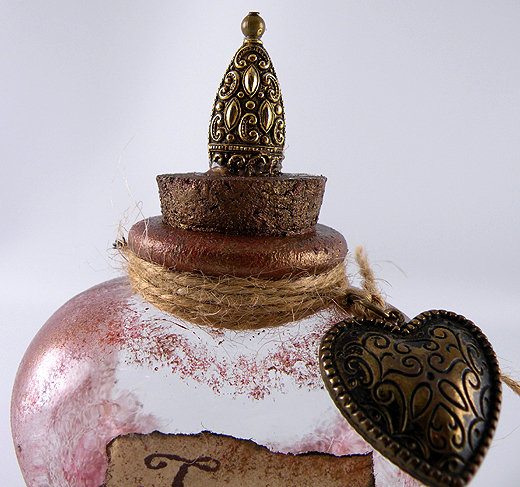 This entry was posted in Crafts, Everything, Recycle and tagged aged bottle, Gina Tepper, glass bottle, heart shaped bottle, love potion, love potion #9, painted bottle, romance, valentine's day. Bookmark the permalink. 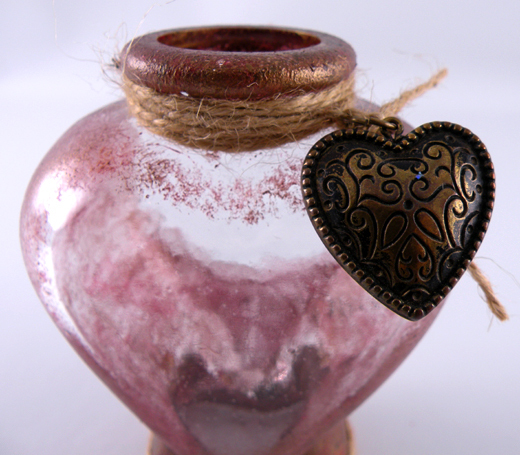 Looking for a great gift made by YOU? 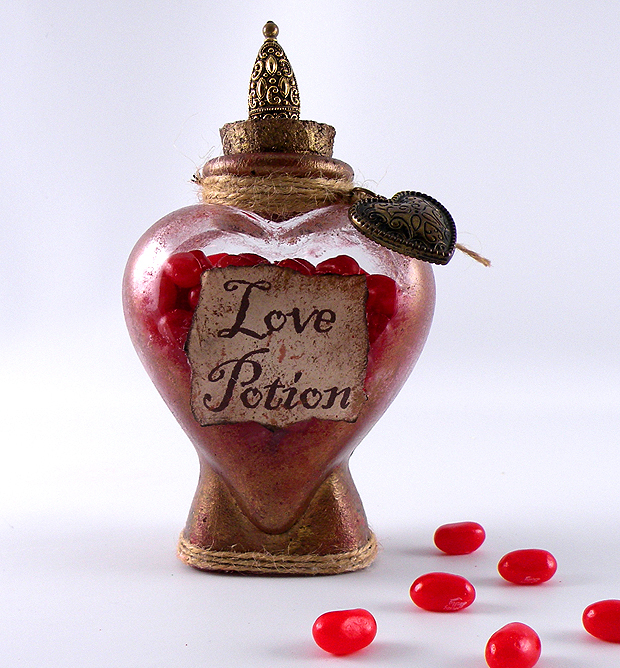 Check out this love potion! Wow I love this bottle! Beautiful! Thank you so much. It was a lot of fun to make. Great idea! I totally want to recreate this. Thanks for the inspiration. Thank you for your comment. I bought the bottle at Michaels for $1.